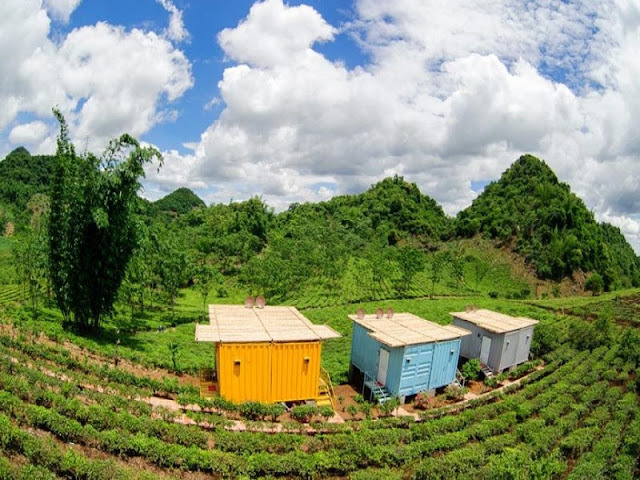 Moc Chau is not only beautiful flowers, green tea hill but also Moc Chau now has the homestay as a tourist heart. Travel with Vietnam Typical Tours to discover the fascinating homestay in Moc Chau green meadow. It is a new homestay but is especially popular with young people when they come to Moc Chau. Open style, harmony vs nature, true mountain spirit. The lawn here is wide, behind the opening room is a small stream of carefully guarded, clear and blue. Moc Chau Arena Village Resort is located in the center of Moc Chau Farm Town. 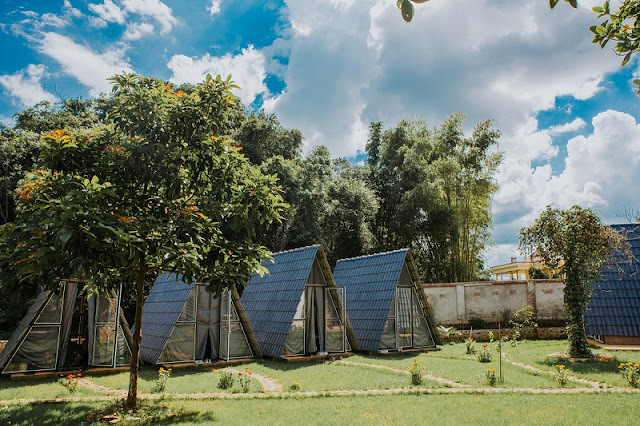 From here, you can easily visit the beautiful sites of Moc Chau, such as: Dai Yem waterfall, Ban Ang pine Hill, vast green tea hills or plum gardens and peach gardens. 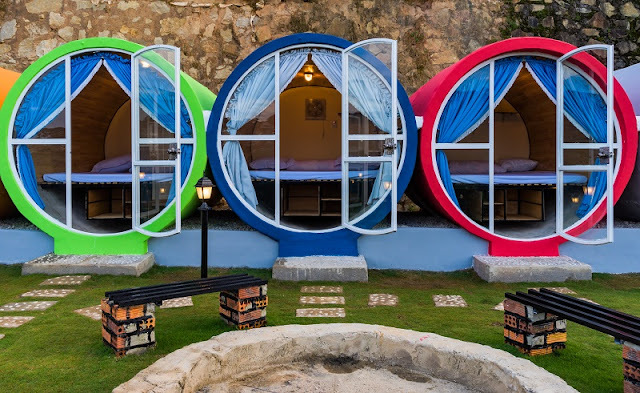 Coming to Moc Chau Arena, visitors will feel very happy when staying in the beautifully decorated container houses of many colors and equipped with full facilities, function as a standard hotel room. A view overlooking the green tea hill, just for tourists to enjoy the scenery even in the room, but also feel close to nature. Moc Chau Happy Land is located in Ban Luan, Muong Sang Commune, Moc Chau District, Son La Province is becoming an ideal and attractive destination. In the early morning, open the window, zoom out of your sight, before the eyes of flowers or relax enjoy the evening gathering party you sip barbecued fries under the cool sky characteristic of the Moc Chau plateau. Especially when you come here to experience the thrill of Zorb Ball games, you can roll in a huge inflatable ball and roll freely to a hill without any speed reducer tool. Moc Chau Town, Moc Chau, Butter House is a favorite homestay by any angle is very beautiful. Homestay is also the heart of their teen by the beautiful virtual corner, the table wood coffee super quality, the corner of the cartoon to us to play more deeply home. In butter homestay full of amenities for you always, those who dream and love the homestay butter is definitely for you. Butter House also has an amusement park, drink cafe and background is extremely unique to those who come here to exchange, play, creative freedom photographed check in full type. 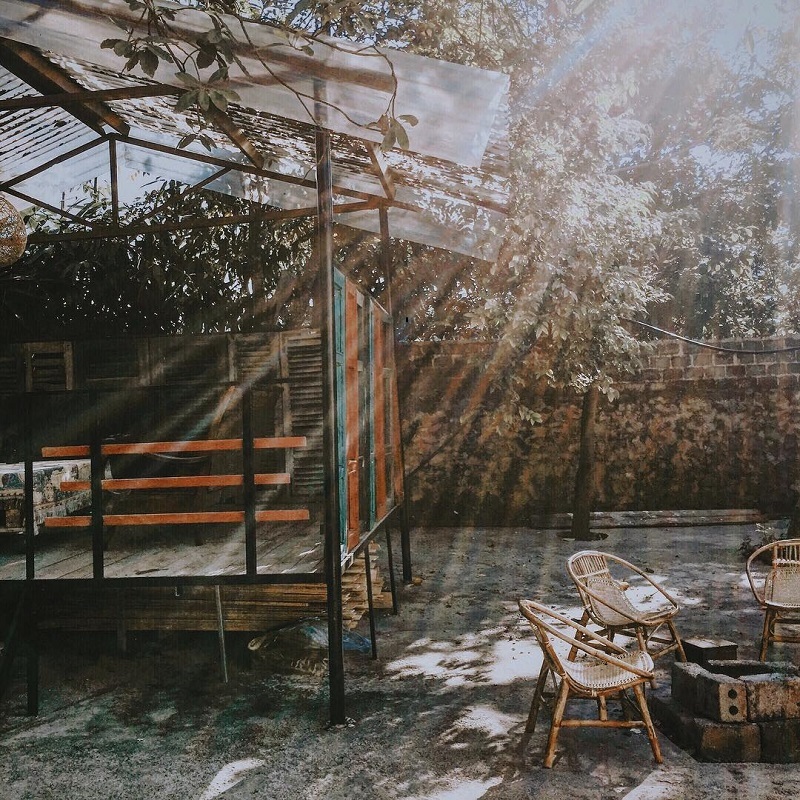 With rustic house style, but comfortable, Moc Chau Moc homestay bring you interesting experience in the community stilt in Ang village, Moc Chau. Like other stilt houses in Ang village, Moc Chau Moc Homestay is made of Thai-style wood, but is designed in a simple, rustic, close to nature: tile roof, natural wood, no paint, not polished. Near the homestay, you can walk around the vast green pine forest. Weather Moc Chau seems to create a fanciful, lung linh lake forest in the village. Early in the morning, the lake of tranquil pine forest, the lake on the thin layer of mist that makes visitors open harmony with nature.